Quebeckers do not have equal access to anti-retroviral treatment (ART) for HIV and AIDS, a long-term study undertaken by a team from the Research Institute of the McGill University Health Centre (RI-MUHC) in collaboration with clinics and university health centres in Montreal, has revealed. Researchers observed that HIV-infected persons who count on social assistance and other income security programs in Quebec do not have early access to ART due to their presumed lower socio-economic status. “This paper shows we need to take socio-economic factors into consideration when it comes to better controlling the HIV epidemic in Canada. People who are vulnerable economically may be put at greater risk because access to ART is delayed,” says study lead author Dr. Jean-Pierre Routy, a senior scientist from the Infectious Diseases and Immunity in Global Health (IDIGH) Program at the RI-MUHC and a hematologist at the Chronic Viral Illness Service of the MUHC. From 1996 to 2015, Dr. Routy’s Montreal-based research team looked at a cohort of 549 participants, early in their HIV infection determining those who count on income security such as social assistance and employment insurance benefits were not accessing ART early. Indeed, working persons earning a salary were two-and-a-half times more likely to initiate early ART compared to this group. This delayed access represents a potential setback in fighting HIV in Quebec. Despite the availability of universal health care and medication insurance, care appears to be inequitable. “People who are unemployed and depend on income support are faced with tough daily decisions on how they use limited resources. Competing needs may lead to less capacity to engage in care and related expenses. This population needs aid,” explains Dr. Routy, who is also a professor in the Department of Medicine, Division of Hematology at the Faculty of Medicine of McGill University. 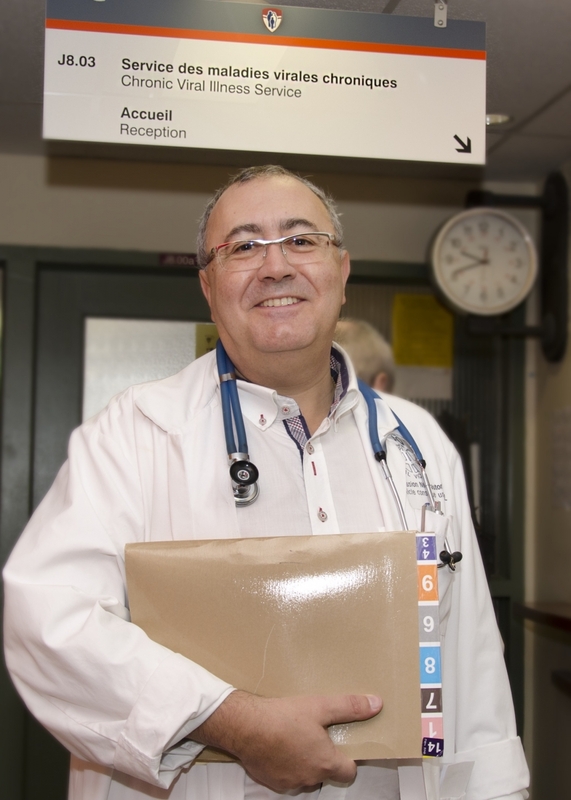 “In a specialized clinic like l’Actuel, over 90 per cent of diagnosed patients begin treatment very early after their diagnosis compared to 30 per cent just 10 years ago,” adds Dr. Thomas. Unlike in British Columbia or France, ART for persons living with HIV in Quebec is still not entirely free. Dr. Thomas points to the obstacle of annual charges for treatment ranging from $28,000 to $36,000. “If we want to eradicate HIV by 2030 – in line with the UNAIDS objectives signed by the city of Montreal on December 1, 2017 – we will have to seriously examine this obstacle moving forward,” says Dr. Thomas. The study Socio‐economic status and time trends associated with early ART initiation following primary HIV infection in Montreal, Canada: 1996 to 2015 was co-authored by Vikram Mehraj, Joseph Cox, Bertrand Lebouche, Cecilia Costiniuk, Wei Cao, Taisheng, Rosalie Ponte, Rejean Thomas, Jason Szabo, Jean-Guy Baril, Benoit Trottier, Pierre Côté, Roger LeBlanc, Julie Bruneau, Cecile Tremblay, Jean-Pierre Routy and the Montreal Primary HIV-Infection Study Group (see paper for the entire list of authors). This work was supported by the Fonds de la Recherche Quebec-Sante (FRQ-S): Reseau SIDA/Maladies infectieuses and Therapie cellulaire; the Canadian Institutes of Health Research (CIHR; grants MOP 103230 and 154051); the Vaccines & Immunotherapies Core of the CIHR Canadian HIV Trials Network (CTN; grant CTN 257); the Canadian Foundation for AIDS Research (CANFAR; grant 02-512); and the Canadian HIV Cure Enterprise Team Grant (HIG-133050) awarded by the CIHR in partnership with CANFAR.